Where I'm Off to Next: She Sells Seashells by... the Seychelles! - Holy Smithereens! The time has finally come! This trip is long overdue and I’m glad to announce that my first destination for 2017 is the Seychelles! My goal as always is to visit and discover more island and resort destinations and the Seychelles has been calling out to me for the past few years now and in just a few days, we’ll be exploring the country that was once a pirate hideout! It’s so tiny, you almost can’t see it in a world map! 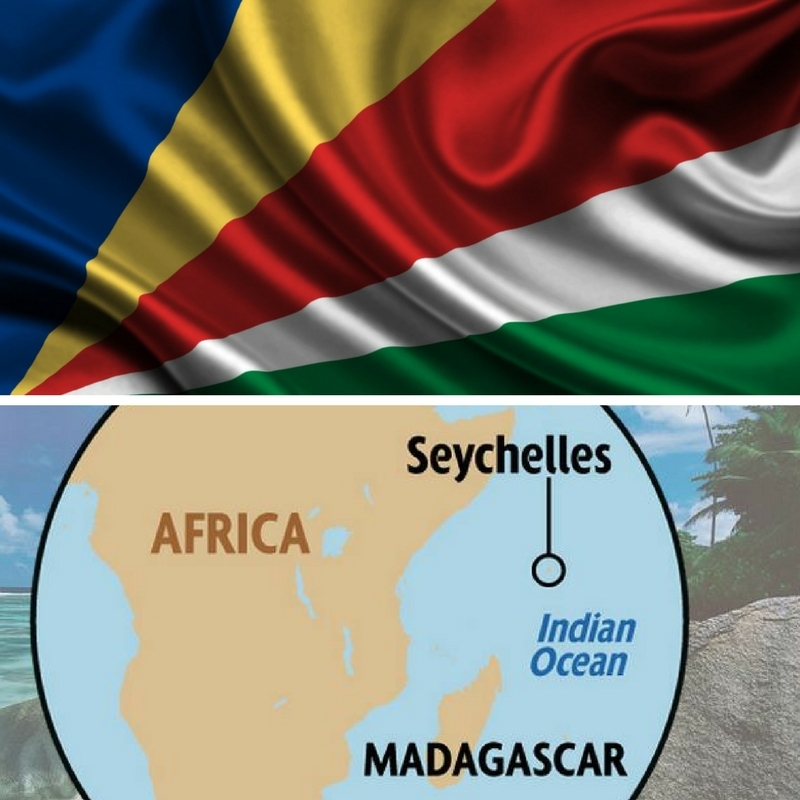 The Seychelles is technically in the continent of Africa, just above Madagascar and if facing the map, it is located a little bit to the right of Kenya. And although its not in mainland Africa, this will be my first time to the continent! The Seychelles is made of up 115 islands. We will be landing at the International Airport in Mahe and spending most of our time in Victoria island. But we will also have the opportunity to stay in Silhoutte island, known for its white beaches and giant boulders. 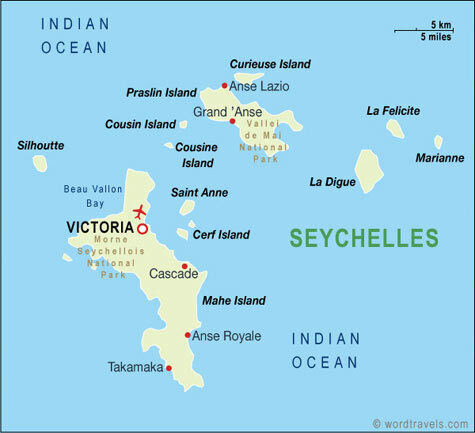 I’ll be exploring Victoria, the smallest capital in the world with the Seychelles Tourism board. I’m really looking forward to discovering its people, food, especially the Creole culture and the mixture of influence from all its settlers: from the Islamic mariners, the French settlers, the British colonials, the Tamil and Chinese traders, and the African slaves. You all know there’s no Holy Smithereens trip without resorts! For a small country, the Seychelles definitely has quite a lot of resorts. 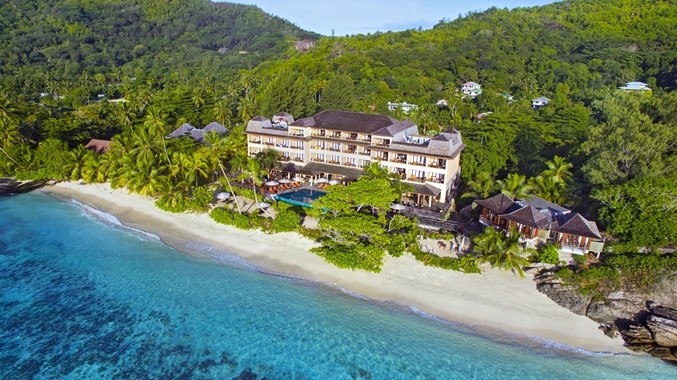 One brand that has a big presence in the Seychelles is Hilton, which has three properties all over the country. Our first stop will be the Doubletree by Hilton Seychelles Allamanda Resort & Spa. This resort is located in Anse Forbans, a huge bay on the south east coast that is almost empty. The waters here are known to be shallow and calm, so it’s going to be a great way to ease into the Seychelles after such a long flight. The Hilton Seychelles Northolme Resort & Spa is quite secluded, located in Beau Vallon Bay on Mahé. And this resort has long been serving as an inspiration to creative minds. The Hilton Seychelles Northolme Resort & Spa only welcomes guests 13 years of age and over, so this will be a great couples getaway location. Located 20 kilometres northwest of Mahé, Silhouette Island was once home to pirates and plantations. Now, it’s the home of a huge diversity of flora and fauna, and is home to our last resort stop, Hilton Seychelles Labriz Resort & Spa. I’m really looking forward to this unique location as the resort is actually surrounded by a vibrant national park. One of the downsides to being based in Australia is that everywhere seems to be so far away. The good side? 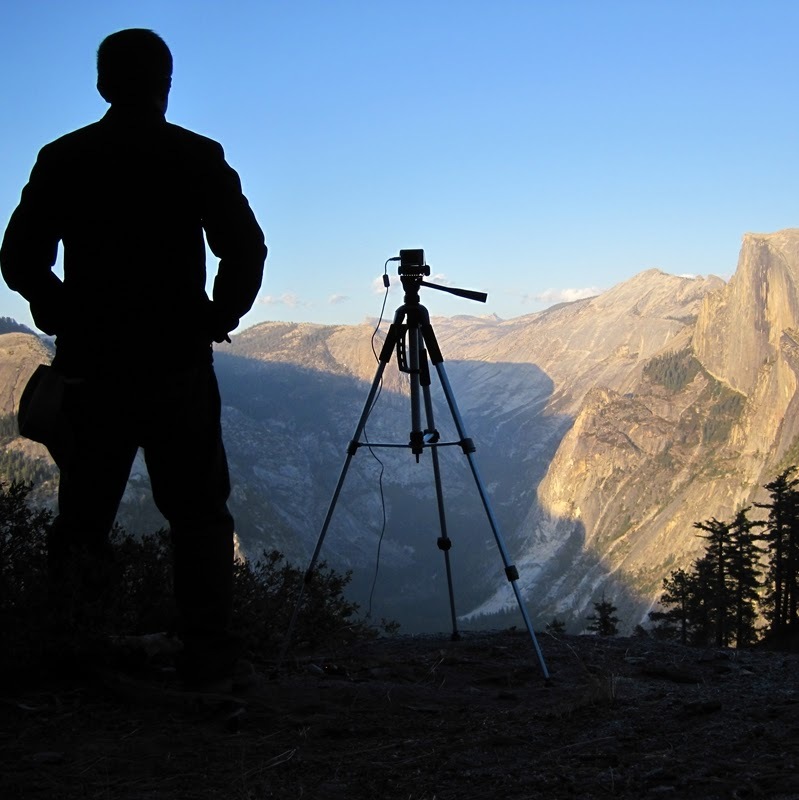 You get to break down your trip! 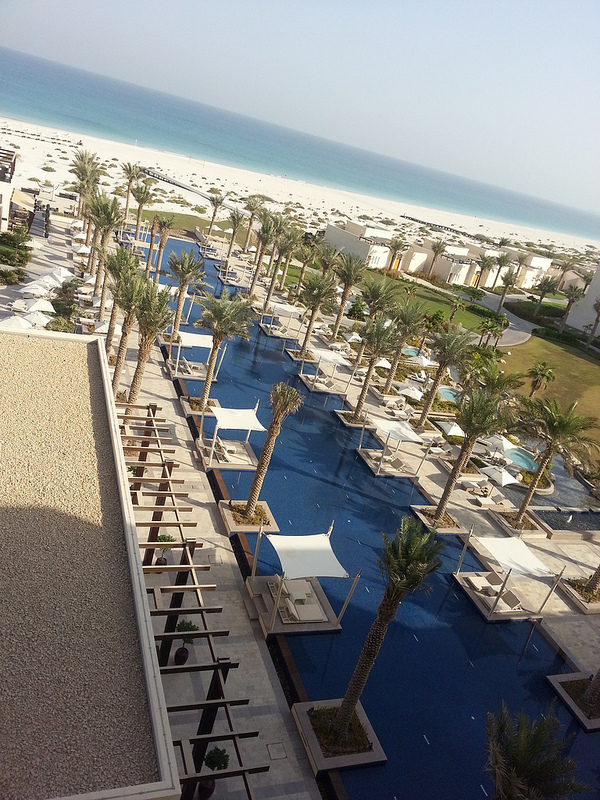 We’ll be getting a quick dose of Abu Dhabi and staying at the Park Hyatt Abu Dhabi Hotel & Villas at Saadiyat Island. I first stayed at this resort in 2012 and it left me with such a lasting impression. I’m visiting again and we’ll see if it will take my breath away as much as it did the first time! I had a whole lot of fun travelling in 2016 (see my travel highlights here) and can you believe that out of 12 trips that I took, I only travelled with Zombie once (ok twice if you count a family wedding). 2016 was such a busy year for us both. There were times when our house felt like an airport terminal. Oh , we once ‘speed dated’ at Sydney Airport too (him arriving, me departing) and we had a quick breakfast at the International Departures area where we did a quick hi and goodbye. I don’t know if 2017 will slow down (but then busy is also good, it makes time pass by so quickly) but we’re grateful to travel together again, especially as we’d just had our 10th wedding year last week. The Zombie-Smithereens team is back y’all! As always, I will be updating real-time on social media, so I hope you can follow along! Last year, I discovered the joys of Instagram Stories, and there will be more to come! Alright, now to pack! Let’s do this Seychelles! Where’s your first trip for 2017? Have you been to the Seychelles? Any tips? 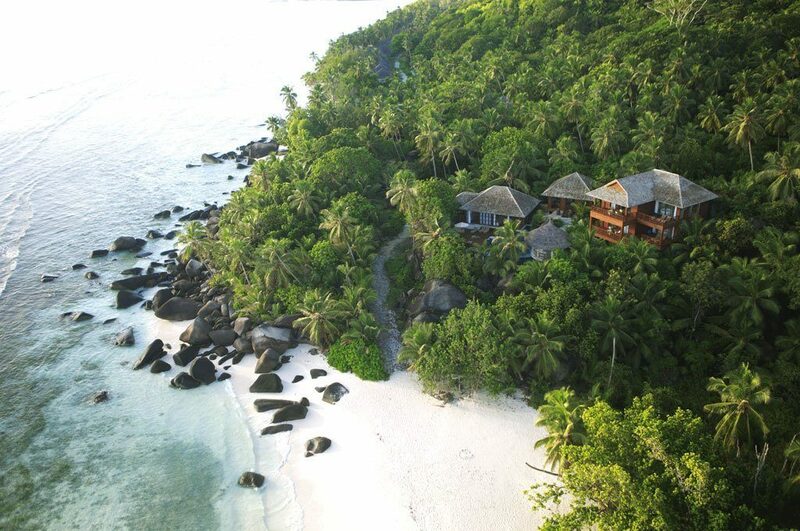 Oooh The Seychelles looks beautiful! 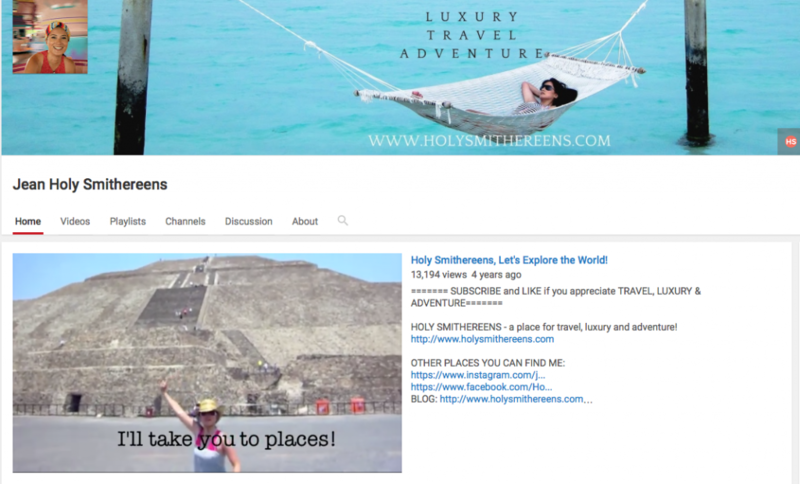 I’m really looking forward to following your trip! Hello, Following your travels. I’m sitting here next to your Cousin Czarina wishing we were going to Seyshells instead! Seychelles is an amazing country that I hope to see along with Maldives. Hi John, both destinations are stunning but I’m looking forward to experience the differences between the two. Hi Jean, I’m from Brazil and love your blog! I look forward reading your review on Seychelles, since me and my husband are planning either to go to the Maldives or to the Seychelles in June for our birthdays. As he’s not much of a beach & sea person only I think Seychelles might have more options for hiking and culture/history tours, On the other hand I’m curious to read what you think about the Seychelles sea. In the pictures I never see people swimming in the water, and as I love snorkeling, that’s akward to me. Have a safe trip! Hi Renata! Thanks for the visit. I think I should have my reports and content ready by the time you make your decision! Yes the two destinations are quite different. There’s definitely more land and mountains in the Seychelles. 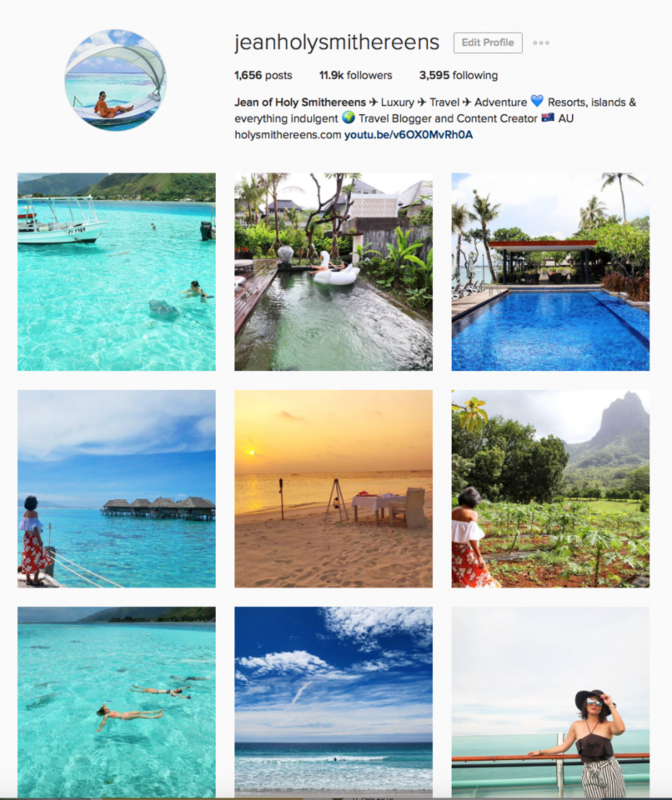 I did see some underwater photos of the Seychelles if you do a #Seychelles search on Instagram, there are some. But looking forward to seeing it for myself. And thanks for following along the trip, am just about to leave too! Oh fantstic! I’ve never been to the Seychelles but some a uni friend spent months studying skinks on La Digue and showed me all her pix – gorgeous. I’m on the way home to Sydney from my first trip of the year, to Bonnie Scotland to see my lovely Mum. Will be coming this way again in a few months too. I’m in transit in Abu Dhabi airport, luxuriating in the lounge here with a glass of bubbly. Cheers to your trip! Studying skinks! How cool 🙂 I’m now even more excited. I’m almost there (got a LONG layover in Abu Dhabi at the moment). I’m glad you had a good start to the year! Seeing family is always great. Thank you and hope you arrived back in Sydney safely! Wow, all so stunning! I really like places like this and, of course, Beau Vallon Bay on Mahé who wouldn’t want to wake up to a view like that? !